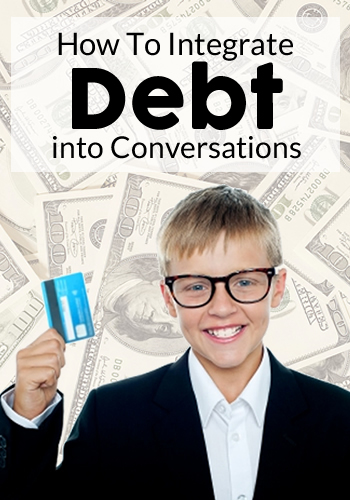 Debt is one of the hardest money conversations for most parents. It’s a subject we’d like to avoid, given our own sensitivity to the subject matter. As I mentioned before, we may not want our kids to experience debt, but most will in some shape or form. So let’s help them learn how to think about debt, so they know when to leverage it appropriately and when to avoid it. This is an easy way to introduce your kids to consumer debt. Plus, it gives you the chance to demonstrate to them the importance of setting goals and prioritizing wants. Unless your kids are exceptionally polite or not very curious, they will ask you about your mistake, which is what you want them to do. Even if they don’t ask, tell them anyways. Let them answer. You may be surprised by what they think. Dialogue with them and confirm where their understanding of debt is correct and help them work through any flawed thinking, generally this is around not understanding how credit cards work and interest charges. The goal is not to teach your kids to avoid “wanting” things. We will always find things we want. Instead, we need to teach our kids what to do when they find something they want. “Now I no longer rush to buy things I want. I take my time to figure out if I truly want it and compare it against my other goals. If I really do want it, I turn it into a goal and save my money for it. Now I can enjoy it with any regret or guilt. Ask your kids who pays for the items when you use a credit card. Make sure young kids understand that you do. Most think it’s free. When you pay your credit card bill, use it as another reminder that you pay for the things you buy. If you are paying interest charges, consider letting them see the bill, so they better understand the impact interest has on the cost of an item. During a home project, ask your kids what their dream house looks like. Let them dream big, then bring them back to reality. Share with them what was important to you when buying your home. 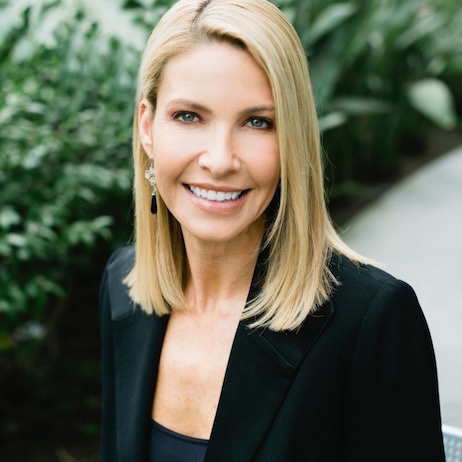 Make sure they understand that they need to consider the features they want in their new home, but also the other things they enjoy doing, such as travel and hobbies, when buying a home to avoid overextending themeselves. When you find something you want, let your kids know. Then take them through your process of deciding whether it’s a want or a need. Remind them you no longer buy things just because you want it. If you want it badly enough, then you will save your money for it. Do this frequently. Most consumer debt happens because we want instant gratification. Show them repeatedly how waiting until you can buy something outright feels even better. Again and again, I hear from so many adults that they wish their parents had talked to them about money, particularly about debt. Will doing so guarantee that your kids won’t get themselves into money trouble? Of course not. But most kids go out into the world with little understanding of debt and have no idea of the dangers of it until they are hip-deep in debt. They won’t know to avoid unnecessary debt unless we teach them. So let’s talk to them. That's wonderful your kids already don't like the idea of paying more than the face-value of an item. It's an important lesson to learn! My girls feel the same way and don't want to waste money on interest that could be used for better things. Great tips Shannon. The funny thing is (or maybe not so funny on second thought) is I can see my friends who are in their late 20s benefitting from this conversation with their parents as well. Yikes! Thanks, GMD! Truthfully, there are many people - young and old - who need to have this conversation. :) Unfortunately, our ability to fulfill our wants immediately is too easy, thanks to credit cards. We have to be very disciplined. But once we master it, it makes life a whole lot easier and more enjoyable. For some reason, I always enjoyed watching those after school specials (thankfully nothing bad ever happened, but boy was I prepared just in case!). I agree talking about it will making it less of a stigma around the house, and society in general - more parents need to read this! LOL! It's never a bad thing to be prepared! I agree - open money conversations can only help. Debt is a reality and pretending it doesn't exist - doesn't prevent people from getting into debt or help them get out of debt. Great advice. Money talks such as those about debt definitely need to be had with children. I like your approach, Shannon. It's real and every day which makes it flow more naturally. Like you were saying, making it an "in the moment', situational conversation neatly sidesteps the "after school specialness" of it all. I've started talking to my daughter about credit cards by explaining the differences in interest between a cash advance and a regular purchase. I have also started talking to my daughter about student loans as well - her wanting to go to college will be coming up very soon as she is sixteen already! Thanks, Lindsey! Most kids have a good-ear and can tell when they are being "talked to" and will half-listen at best. But if you can have the conversation naturally and engage them in conversation - it doesn't feel forced and they actually pay attention. I'm so glad you're talking to your daughter about money, especially about credit cards since it won't be too long before she'll be on her own. They grow up fast but these conversations will put her in a better position to make smart money decisions by herself. I try really hard to discuss prices and how you have to work for x amount of time to earn the money to buy something. We have our vacation coming up this week. Our six year old has $113 dollars saved up and we are letting her take half with us. We'll see if she ends up spending it or not and if my lessons have fallen of deaf ears! Great stuff here. I had my first real experience with this last week when I took my niece to Target. We walked through the toy section, where of course she wanted everything. My response was consistently agreeing that Toy X looked very cool and that it would be exciting when she could save up the money to buy it. At first she was pretty annoyed, but later that day she was telling my wife how she couldn't wait to save up her money to buy a particular doll. Very cool! Great advice Shannon! I agree that having those teachable moments is vital. You want to make it something that they can grasp and doing the after school special will likely not help them appreciate it. We find that our little ones are such concrete thinkers that having the teachable moments, breaking it down to their level, goes a long way to help them begin to grasp the idea. Absolutely, John. I think one of the reasons parents get so uncomfortable about having any type of money conversation with their kids is because they mentally make into it a big scary production. But these conversations should be natural and organic. Plus, once you start having these types of conversations, you'll be surprised how many teachable moments there are in a day. Absolutely, most kids know their parents work to earn money but assume whatever they earn covers everything they buy, which isn't always the case. Understanding that is an important lesson in itself. I agree - there is no reason to hide your money mistakes from your kids. In fact, openly talking about them helps them learn and hopefully know to avoid making the same mistakes. Great tips Shannon! I especially like the "let them answer" point you make. I'll have to remember that one! I think it's easy for us to say something and pretend they understand. But it's important to listen to what they have to say and understand what they've understood :). Valuable lesson, not only for money conversations, but good just general everyday parenting advice. Thanks, Anthony! It's definitely important to give them a chance to answer and be heard. Otherwise, they will be less interested in listening. Plus, I always find it fascinating to learn what they believe. Sometimes they are spot-on and sometimes they are not! :) Regardless, it's what they believe and if I can't help guide them to the truth than their false beliefs or misconceptions become more fully ingrained in them. Great tips Shannon! And conversations that can be repeated throughout the years. A child's view on life will change as they get older, so these conversations are definitely not a one time thing. Once kids start earning their own money and making more friends they begin to be influenced by their surroundings more and more. So it is good to always keep reminding them about these important points. Absolutely, Sicorra. These conversations should be repeated often and can grow more layered as children age. Children's view do change as they grow older and are more influenced by friends and others. You want them to be prepared to handle peer pressure where it comes to spending, especially once they are on their own. Great advice! I love how you ask them open-ended questions to get them involved and thinking. Thanks! I definitely want to avoid the dreaded one-sided conversation. :) You both learn more when everyone talks and listens. I love theses tips Shannon! What I like is that I can apply these to a conversation with my teens. My son who has been working for about four months now asked me about the difference between a credit card and debit card. We had a great talk and I even shared our own mistakes and gave him advice I wish I had been given when I got my first credit card. Thanks, Corina! You can absolutely apply the conversation to elementary age children to teenagers. It's great that your son asked you to explain the differences between a credit card and debit cards. Sadly, I suspect many teenagers and even young adults don't really understand what those difference are. He sounds like a smart kid (takes after his Mama, right? :) ) and having these talks with you will definitely help him handle his money right. I think parents might be surprised by how much their kids might keep them accountable for their spending. I know you have said before that when you were young, you used to order the cheapest thing on the menu and ask your parents if they could afford to go out to eat at all. I think a lot of kids understand how they affect the family finances and might be the little reminder you need to eat at home instead. Having these open discussions about debt are a great way to get the family involved and educated about finance! Love this article! Thanks, Vanessa! Kids absolutely hold you accountable because they do listen (sometimes even more than we think!) and will rightfully call you out. Involving your kids helps keep everyone on the same page and working together. Now when your family saves money to go out to dinner or something special, you can enjoy it, rather than worrying about whether we can afford it like I did. We don't have any kids but if we did I would certainly include them in the budgeting process. I would want them to understand how money and debt works even if that means having them draw up their own little budget and working with them to balance it. It's a great way to teach them so they understand that they need to earn enough money before they pay for it. It's such a huge topic. Thanks! Thanks Mr. CBB. Budgeting is a great way to get the kids involved and teaches them so much. Too often parents forget to show kids how to budget, which we all need to do in some shape or form. They go off on their own and some have no idea how to balance wants and needs. Great advice....one of these days! Right now my kids are still collecting change for their piggybanks. At 2 and 4, I don't really think they have much of a concept of debt yet. It's great that your parents taught you about finances when you were young. It's an important step that many parents overlook. Thanks for stopping by and commenting. This is a good article and raises a very important issue - that is talking to your kids about debt. One of the most important things that needs to be raised is the concept of instant justification...and how this can lead to debt problems. This is a problem with society. When people learn to wait for thing, then credit can be managed well and used effectively...eg not for wants. Absolutely, Alex. We as a society have become very enamored with instant gratification which has led to many problems. Talking to kids about debt, wants and needs and saving for those things we want is so important. Credit cards are not bad but like you said - we need to learn how to use them properly. i have no doubt that my kids learned a ton about debt and money management from watching our journey out of debt. We were open with them from the front, and they have seen the change in our attitudes and behaviors first hand. I have no doubt that the lessons learned will serve them well in life. I'm sure they did as well, Jefferson. It's great you were open with them and undoubtedly seeing you and your wife change your habits and find the joy of living within your means is something they definitely noticed. Great lessons for them to learn! This is awesome. It seems like whenever I talk at a high school the first five questions are all variations of "how can I get into debt?" It's scary that when young people think about money the first thing they want to know is about lending practices. Thanks, Joe! That scares me too! I am surprised by how little they know, especially since they are will be handling money on their own very soon. At the same time, I have been very pleased to see how eager they are to learn about money too. We just need to take that hunger and show them the smart way to handle money. You have made a very good point. Debt matters should be included in everyday family conversations. Everything comes natural if parents explain to their children things about spending, splurging and credit cards when all of you are in a relaxed mood.